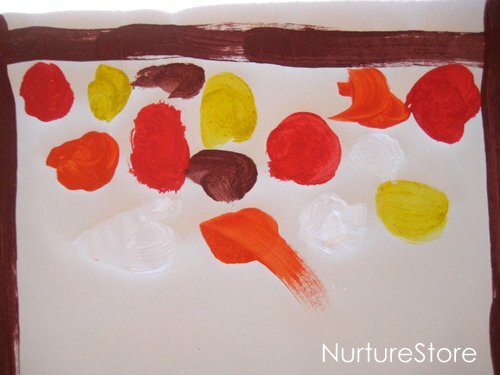 We started out by choosing our paint colours. Knowing we were going to be adding spices, we picked some earthy colours to match. Next we paid a visit to our larder to investigate which spices we had. The children enjoyed sniffing all the pots and trying to guess which spice was which – and what food we usually eat them in. 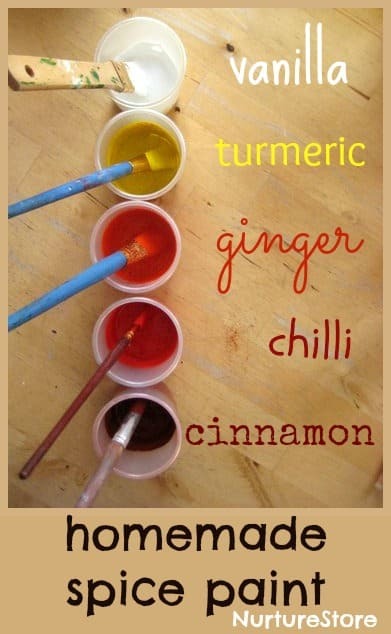 And then all you need to do is stir the spice into your paint, until it combines well. 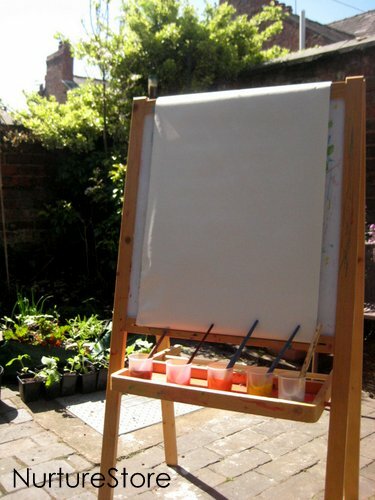 We have had some lovely sunny days this week, so I set up the easel in our back garden. 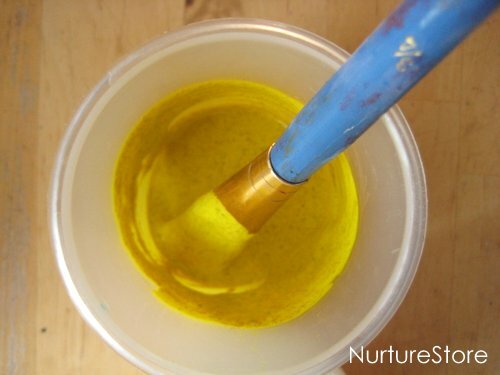 The warm weather made the spice scents even better, but the paint is also great on dark, indoor days as it really gives you a sensory boost and adds some zing to your art session. 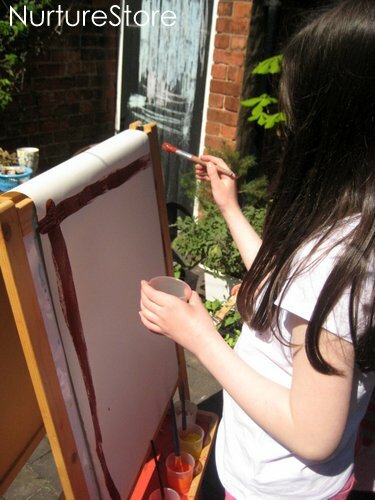 The children loved it – and I enjoyed sitting in the sunshine, watching them paint, and smelling all the lovely scents! 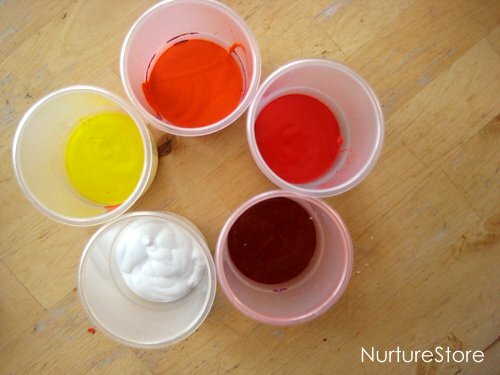 Have you ever tried sensory play with spice paint? 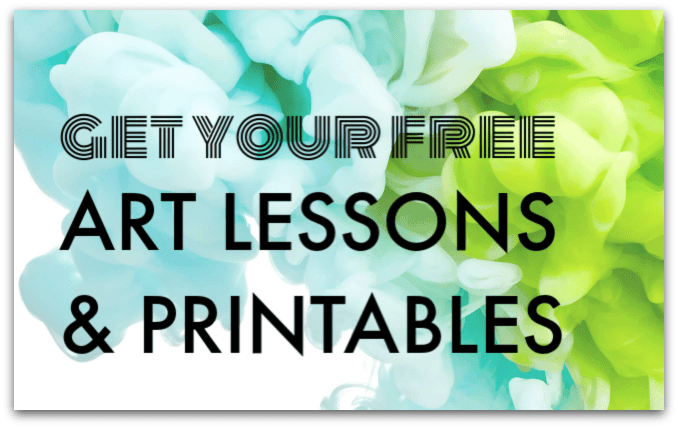 Mint would be great – with green paint of course! This is a brilliant idea!! How long does the smell of spice last? I want to try this with my kids, they would love it!! I’ve just been to do a smell test for you Chris! The paint on the pictures no longer has a scent but the paint that we still have left in the pots (with lids on) still has a great scent. Maybe two weeks later. Please warn your readers that turmeric is a strong plant dye that requires no additives to be a permanent color on fabric and carpeting. 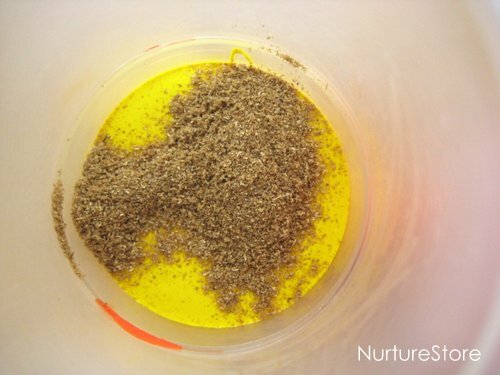 I’ve seen this going around Pinterest, and it scares me to think of an unsuspecting parent letting their child use this spice anywhere but outside or a well-protected space. Thank you. 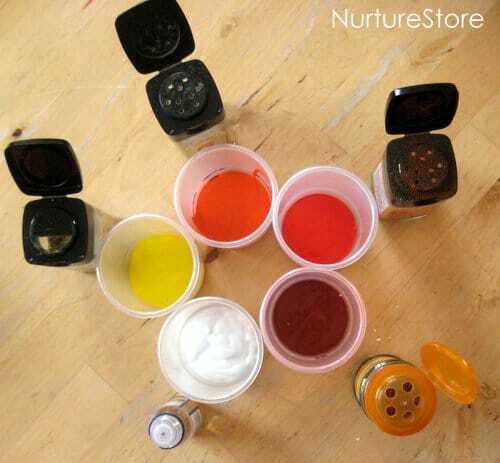 You can mix the spices in with water instead of paint. More water equals runny paint, less water equals more of a paste.